Banbury Sailing Club is a family friendly club, formed in 1950 and ever since has been training and developing its members. The Club is open to all ages and experience levels - from keen racers, family sailors through to those who are new to sailing. We sail on Boddington Reservoir, which is around 90 acres in size and is set in attractive, unspoilt countryside. 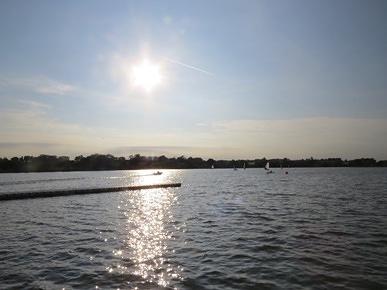 The reservoir is located near Byfield, Northamptonshire (about 7 miles north of Banbury), and draws sailors in from Oxfordshire and Warwickshire too. Members can sail at any time except on a few occasions in the year when the club is holding an Open Meeting or on one of the two annual work party days. Join us to find out more about your sailing future at Banbury Sailing Club.